It is going to be a full day today. Relatives are flying in for a four day series of events around my birthday. That includes a private celebration Saturday at a local restaurant. The one gotcha is that I see a gastro-intestinal specialist this afternoon to see what they need to do with some plumbing problems I am having. I just hope that what needs to be done will not interfere with me attending my own birthday parties. Anyway there is a lot going on right now and there will be for a few days so I am sending another previously published Daily and I do not plan on publishing the Daily tomorrow. If all goes well we will be back in business on Monday. Life is a gift we’re given each and every day. To live a little, you’ve got to love a whole lot. Love turns the ordinary into the extraordinary. Life’s a journey always worth taking. Count blessings like children count stars. treasure chest… it lies within your heart. It’s the little moments that make life big. Don’t wait. Make memories today. Today is the anniversary of my birth. I have one every year and to tell the truth I cannot tell the difference between how I was yesterday and how I am today. In all honesty I never really could tell the difference. I find that all that happens is that I have lived another year. As far as birthdays are concerned I have new one everyday. I wake up reborn, ready to see what the world has in store for me, and to the opportunity to do the best I can. I wasted way too much time getting here to miss all that I will see and do today. I do worry sometimes that I may be losing it though, as it also seems like I am getting younger every day. While you and I cannot get together each day for a party we can at least start fresh together. So may I wish you a happy birthday today, and I hope you have another one tomorrow. A man ninety years old was asked to what he attributed his longevity. I reckon, he said, with a twinkle in his eye, it’s because most nights I went to bed and slept when I should have sat up and worried. “I’m happy,” says the son. “Ok, as long as you’re happy; my blessings to you both,” replies Moisha. Again, Moisha breaks out in a dance and sings God’s praises. “What is her name,” implores the father? “Ok, then you, too, have my blessing,” intones Moisha sadly. “Her NAME? WHAT IS HER NAME” his father immediately demands? “Ah, no, father” says Chutzpah. “Whoopi from Hollywood,” says Chutzpah. I’m addicted to placebos. I’d give them up, but it wouldn’t’ make any difference. When we put our house up for sale, I stressed emphatically that my sons make their beds each morning. I left for work before they left for school, and I wanted to be sure that the house looked presentable when the agent showed it to prospective buyers. I was surprised and impressed that my 15-year-old son’s bed was perfectly made each day. Until that is, one night when I went into his room, I discovered his secret. . .He was fast asleep on the floor in his sleeping bag! * HAMMER: Originally employed as a weapon of war, the hammer nowadays is used as a kind of divining rod to locate expensive parts not far from the object we are trying to hit. * MECHANIC’S KNIFE: Used to open and slice through the contents of cardboard cartons delivered to your front door; works particularly well on boxes containing seats and motorcycle jackets. * HACKSAW: One of a family of cutting tools. It transforms human energy into a crooked, unpredictable motion, and the more you attempt to influence its course, the more dismal your future becomes. * WHITWORTH SOCKETS: Once used for working on older British cars and motorcycles, they are now used mainly for impersonating that 9/16 or 1/2 socket you’ve been searching for, the last 15 minutes. * DRILL PRESS: A tall upright machine useful for suddenly snatching flat metal bar stock out of your hands so that it smacks you in the chest and flings your iced tea across the room, splattering it against that freshly painted part you were drying. * HYDRAULIC FLOOR JACK: Used for lowering a motorcycle to the ground after you have installed your new front disk brake set-up, trapping the jack handle firmly under the front fender. * TWEEZERS: A tool for removing wood splinters. * PHONE: Tool for calling your neighbor to see if he has another hydraulic floor jack. * SNAP-ON GASKET SCRAPER: Theoretically useful as a sandwich tool for spreading mayonnaise; used mainly for getting dog-doo off your boot. * BATTERY ELECTROLYTE TESTER: A handy tool for transferring sulphuric acid from a car battery to the inside of your tool box after determining that your battery is dead as a doornail, just as you thought. * PRYBAR: A tool used to crumple the metal surrounding that clip or bracket you needed to remove in order to replace a 50 cent part. * HOSE CUTTER: A tool used to cut hoses 1/2 inch too short. Our life is a series of challenges, and how we tackle challenges is what makes the real difference in deciding the direction of life. We are still working on what it is going to take to cure my latest malady. Thursday the docs will look inside and see what repairs may be needed. I discovered the problem the other morning while I was meeting with colleagues which triggered great concern on their part. I also was and am concerned but all that can be done is being done. My friends seemed somewhat taken aback by my apparent casual response to my discovery. I think I behaved that way because I have had so many episodes of significant health challenges that were overcome that I fell back into my “don’t worry” mode. I like to save my concerns for what is rather than what might be. My thoughts reminded me of the following article of how the events in our lives prepare us for the challenges we face as life goes on. A Monarch of long ago had twin sons. As they grew to young manhood, the king sought a fair way to designate one of them as crown prince. All who knew the young men thought them equal in intelligence, wit, personal charm, health, and physical strength. Being a keenly observant king, he thought he detected a trait in one which was not shared by the other. In a spirit of friendly competition, the brothers set out together. Soon they overtook an aged woman struggling under a burden that seemed far too heavy for her frail body. One of the boys suggested that they stop to help her. The other protested: “We have a saddle of our own to worry about. Let us be on our way.” The objector hurried on while the other stayed behind to give aid to the aged woman. Along the road, from day to day, he found others who also needed help. A blind man took him miles out of his way, and a lame man slowed him to a cripple’s walk. We were helping customers when the store optometrist walked by and flirted with a co-worker. Of course, we all had to stop what we were doing to tease her. But she quickly dismissed the notion of a budding romance. When the graveside service had no more than just finished, there was a tremendous burst of thunder, accompanied by a distant lightning bolt and more rumbling thunder and more lightning. A beggar goes door-to-door looking for food, he rang on one door and a person comes out: -What do you want? Do you mind if it is from yesterday? Every struggle you had in your life shaped you into the person you are today. Be thankful for the hard times they can only make you stronger. Saturday I will reach another milestone, I will be older than I ever thought I would be and my family is gathering from hither and yon to celebrate the event. Unfortunately I have a new medical problem that is interrupting my workout routines for a few days but hopefully will not interfere with the four days of family events that include close family members that I see once a year at most. I will get some test results today and am scheduled to see a GI specialist on Thursday. You have to admit my life stays interesting. 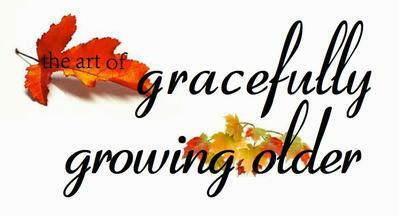 Just yesterday I was in a meeting reviewing the possibility of offering series of classes on aging gracefully. Sometimes the graceful part is not easy. Here some excerpts from a Web MD article for those who have decided they are going to join me in the long life adventure. It’s true that aging brings hardships, but remember that the old are survivors — a select group. Wisdom, resilience and a mature perspective are often cited as the hard-won prizes of aging. But growing old itself is an accomplishment. “But if you get to be older, you have survived a lot of the threats to your physical and psychological integrity that have affected other people who are no longer around,” psychologist Whitbourne says. During the course of his career, Illinois psychologist Mark Frazier, PsyD, has worked with thousands of older people “ages 65 to 105,” he says. Again and again, he’s seen an important key to psychological health: accepting that your life won’t stay the same. Aging changes everyone. Continue to find meaning later in life. “Retirement has always been a time when we see people withdraw from their roles,” says Pauline Abbott, EdD, director of gerontology at the Institute of Gerontology, California State University, Fullerton. During this risky time, some older people succumb to depression and a sense of meaninglessness. “Part of the challenge of aging gracefully is that you have to continue to find things that are important to you,” Frazier says. That can include travel, spiritual pursuits, hobbies, new social groups, lifelong learning, or recapturing time with family if one lacked the chance during the career years, experts say. A traveling evangelist always put on a grand finale at his revival meetings, when he was to preach at a church, he would secretly hire a small boy to sit in the ceiling rafters with a dove in a cage. Toward the end of his sermon, the preacher would shout for the Holy Spirit to come down, and the boy in the rafters would dutifully release the dove. At one revival meeting, however, nothing happened when the preacher called for the Holy Spirit to descend. He again raised his arms and exclaimed: “Come down, Holy Spirit!” Still no sign of the dove. What we see depends on mainly what we look for. The neighbor said, “Oh, I can’t believe that. I’ve never had any trouble with my chickens. I’ll give you 100 more.” Another two weeks went by, and the neighbor stopped in again. All general statements are false, except this one. New Testament: Many are called, but few are chosen. Marie Dolan: Many are called, but most are e-mailed. Ron Morse: Many are called, but few actually switch long-distance carriers. Ed Wintermantel: Many are called, but they face another wait in the examining room. My wife continues to heal and soon she will be better than ever. Now I need to quit letting myself go and work on losing the weight I have gained over the last few weeks as well as rebuilding the stamina I lost by missing so many exercise sessions. My wife and I are both at the age where if we slow down too much age is going to creep up and knock us down. 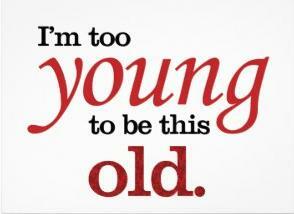 I am going to have to convince my body that it is not as old as I am so that it won’t balk at what it must do. Here is what Angel Chernoff suggests might work. They wake up with a sense of gratitude. – In other words, they start the day with love. This means they are truly appreciative of their life and all of its priceless idiosyncrasies. They practice small acts of gratitude in the morning by expressing thankfulness directly to the people they love, and the immediate circumstances (health, opportunities, etc.) they could so easily take for granted. The more you count your blessings, the more blessings there will be to count, and the happier you will be. They truly begin anew each and every morning. – They know that it’s a brand new day to start over and do something different. Yesterday may have been a complete bummer for them, but today is a new day for success and adventure. Realize this. Live now. Not before. Not later. Just NOW – in the moment you’re in. Inhabit your morning completely. Don’t rent it out to the past. Don’t let your history interfere with your destiny! Let today be the day you stop being a victim of yesterday’s circumstances and start taking action towards the life you want. They use self-inquiry to affirm a purposeful start to the day. – Steve Jobs’ morning routine used to start by looking in the mirror and asking, “If today were the last day of my life, would I want to do what I am about to do today?” And Benjamin Franklin asked himself each morning, “What good shall I do today?” I challenge you to come up with questions that keep you on track and push you to live a purposeful life. Here are three questions I often ask myself: What would I like to remember about today? How will I sincerely honor my own desires and truth today? What can I do to make a positive difference in the lives around me today? They read something positive. – Some happy people read a bit of scripture each morning, while others read inspiring books, articles or quotes to get their day started. Either way, they have a ritual to read some form of self-improvement literature to stretch and grow their insight and knowledge. It’s starts their day off on a positivenote with positive, productive ideas to guide their day’s journey. They follow an effective, proven morning routine. – Morning routines are critically important. They help you focus and build momentum for your day, and they give you the freedom to be present and relaxed – to enjoy just being right where you are each moment, rather than rushing from somewhere to somewhere. Once you get your routine in order, for the first time in a long time, you will be able to, quite literally, smell the coffee. For truly easy-going mornings, reduce the number of decisions you must make. There are two simple ways to do this: First, make your big morning decisions the night before: what to eat for breakfast, what clothes to wear, what you need to take to work, etc. Second, build a simple routine for as much of your daily morning tasks as possible. Really, there’s no need to drastically alter the simple things like how much time you give yourself to get ready for work, how complex of a meal you make for breakfast, or bathroom and shower rituals from one morning to the next. When you are down and out, something always turns up — and it is usually the noses of your friends. “Tense,” she replied, describing her emotional state. After a slight pause the student tried again, “What was the matter? What has been the matter? What might have been the matter? Rome did not create a great empire by having meetings — they did it by killing all those who opposed them. If at first you don’t succeed — try management. Go the extra mile — It makes your boss look like an incompetent slacker. Pride, commitment, teamwork — words we use to get you to work for free. Work: It isn’t just for sleeping anymore. There are two kinds of people in life: people who like their jobs, and people who don’t work here anymore. It is great to have my wife back home and for us to work our way back to the happy life we usually enjoy. I was proud of how well she handled her heart problems and the implantation of a Pacemaker over the past week. It was a long hospital stay that kept her from her normal activities which under other circumstances would have been upsetting. She was a good patient and now will spend a couple of weeks fully recovering with me as her designated driver, another test of our companionship skills. I am just glad she is home and the prognosis is so good. I think she found the secret of a prolonged hospital stay, you must maintain a positive attitude and she did. For me, this was a hard one at first. I thought that people were either unhappy or happy (and I was one of the unhappy ones). I used to blame this on all kinds of outside forces –- fate, experiences, parents, relationships –- but never really stopped to think that I could choose to be happy. Sure, this isn’t always easy, but it is always, always an option. Teaching myself to see that happiness is a choice has been one of the greatest things I’ve ever done for myself. Now when I find myself in a bad situation, I know that it’s up to me to find the good, to be happy regardless of what’s happening around me. I am no longer pointing fingers, placing blame. I realize that everything happens how it happens and it’s up to me to choose how I want to feel about it. I am in control of my happiness level and no one can take that away from me. If you want to live a positive, joyful and happy life, you cannot –- absolutely CANNOT -– be surrounded by negative people who are not encouraging your happiness. When I was a pretty negative person, I tended to attract other negative people. When I decided to make the change to live a more positive life, I had to rid my life of all of the negative people in it. This, as you can imagine, wasn’t easy. Getting rid of people hurts -– even when you know they aren’t good for you or your current lifestyle. Not only did I have to get rid of the negative people, but I also had to get rid of the negative things too. I had to stop doing certain things that were causing negativity in my life. I had to take a step back and examine which behaviors were good for me and which were not. I learned to focus on the positive things I was doing and let go of the negative ones. This process was not easy and to be honest, is still ongoing, but I know this: having negativity in your life prevents you from living a truly positive existence. There is the positive aspect in everything. In every person, in every situation, there is something good. Most of the time it’s not all that obvious. We have to look. And sometimes we have to look hard. The old me just sat back and allowed things to happen by default. If I saw negative, I went with that feeling. I didn’t want to look harder or think too much about the good. I found it much, much easier to sit back and just accept what I saw (which was usually the bad). 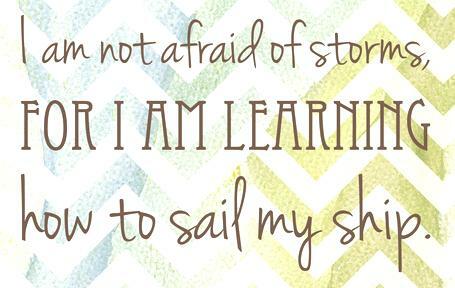 Everything –- good and bad -– is a learning experience. So, at the very least, you can learn from bad experiences. However, there’s usually even more to it than that. If you really take the time to look, you will usually find something good, something really positive, about every person or situation. Once I started thinking more positively and adapted to a more positive attitude, I realized I had to reinforce these thoughts and behaviors in myself so they would stick. As with any sort of training, practice makes perfect, and, yes, you can practice being positive. The best and easiest way to do this is to be positive when it comes to who you are. Tell yourself you’re awesome. Tell yourself you look good. Tell yourself that you love and accept yourself completely. Tell yourself you did an awesome job at work or raising your kids or whatever it is you do. Not only do you need to be positive with yourself for this new positive attitude to really take effect, you also need to be positive with others. You have to share your wealth of positivity with the world. The best way I’ve found to do this is quite simple and basic: be nice. Be nice to other people, no matter what. Tell someone he or she looks nice today. Tell someone they did a great job on that presentation. Tell your parents or children (or both!) how much you love them and how great they are. People appreciate positivity and the more you are sharing it with others, the more you are practicing it and reinforcing it in your own life. Great news, as of last night the plan is to let my wife come home later today after her lengthy stay in the hospital. Her absence again made me realize how dependent I am on our companionship. 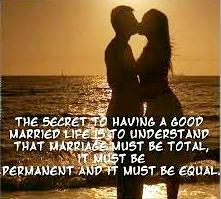 The time comes in a long marriage when you often communicate silently. It is like your psyche has merged together. We are really fortunate that our marriage has weathered the storms. We have had more good moments than most and that allowed us not to mess up our great children too much. The vacuum created by her not being here has been disturbing and I am glad it will come to an end today. Those of you, who know my wife know it does not take long for her to get cabin fever. She usually takes off in her car a couple of times a day. She walks a mall in the morning, often eats lunch away, runs errands, or visits family and friends. I either stay home protecting our space from invasion or venture out to do the things I do. In other words we both happily do our own thing. What will be different is she cannot drive for two weeks so I am going to be her chauffer. I want her to be able to do as much as she can after being hospitalized for so long. As I was looking to find suggestions as to how I should behave on the assignment I ran across the following piece that should help. When someone is having a bad day be silent ….. …sit close by. …and nuzzle them gently. PASSIVE AGGRESSIVE – On the First Day of Christmas My True Love Gave to Me (and then took it all away). We are all different – and we are all one. Take time to understand, and to appreciate. They implanted a pacemaker in my wife’s chest yesterday to prevent another instance of a heart pause that would put her at risk of passing out, now a few more days in the hospital to work on the right dosage of arrhythmia medication and she will be back home. I am a little frazzled so back to the archives today. Today I went to the barber for a haircut where the owner asked me if I was yet 62, a sure way to get a bigger tip. What is hard for me at my age is to realize most people don’t know what I am talking about when I talk about the past. Big movie stars of my era don’t exist in the minds of others; the list of disconnects could go on forever. It is no wonder that we sometimes have trouble with intergenerational communications, we grew up in a different environment, had different experiences, and different priorities. It seems to me that we all need to continue to work on finding the common ground rather than trying to live in each other’s world. Better to search for understanding with an open mind and to find what we have in common, not how we are different. As an example I remember all of the following, do you? a.. The 1949 inaugural parade for President Harry Truman on this day was the first to be televised. b.. On this day in 1950, Alger Hiss was convicted on two counts of perjury for his testimony before congress in the McCarthy Era hearings. c.. George Orwell [Eric Arthur Blair], the author of Animal Farm and 1984, died on this day in 1950 from tuberculosis in London at 46.
d.. On this day in 1954, the Nautilus, the first nuclear-powered submarine, was launched by the U.S. Navy, christened by First Lady Mamie Eisenhower. e.. William Shawn succeeded founder Harold Ross as the editor of the New Yorker on this day in 1956.
f.. On this day in 1961, the U.S. sent a space monkey, “Miss Sam”, nine miles high aboard a Mercury rocket. The six pound monkey was successfully returned to Earth. g.. On this day in 1976, faster-than-sound commercial air travel became a reality as the French Concorde started plying between the U.S. and Europe. The Concorde, traveling at a speed of over 1000 miles per hour, could get to New York from Paris in 3.5 hours. Most commercial jets fly at a speed of 500-600 mph..
h.. On his first full day in office in 1977, President Jimmy Carter issued an amnesty proclamation that covered most Vietnam draft-evaders. The emperor then issued the same challenge to the Chinese samurai, to come in and demonstrate why he should be chosen. The Chinese samurai also opened a matchbox and out buzzed a fly. Whoosh, whoosh, whoosh, whoosh! The fly dropped dead, chopped into four small pieces. A very religious couple was touring the Holy Land during the Christmas season and decided it would be very meaningful to them to spend Christmas Eve in Bethlehem, the birth place of Jesus. Arriving there, they searched high and low for a room, but none was available at any price. Finally, they pulled up in front of the Sheraton-Bethlehem and the husband got out of the car, telling his wife: “Stay here, sweetie. A man walks into a shoe store, and tries on a pair of shoes. “How do they feel?” asks the sales clerk. “Well … they feel a bit tight.” replies the man. The assistant promptly bends down and has a look at the shoes and the mans feet. “Try pulling up on the tongue.” offers the clerk. “Nath theyth sthill feelth a bith tighth.” He says.